Everyone loves visiting Animal Kingdom at the Walt Disney World Resort in central Florida! There’s so much to see, do and experience, and you won’t want to miss a thing! Not sure where to start? Here’s our A to Z list of things we think you just can’t miss when you visit this park! Asia is just one of the themed lands at Disney’s Animal Kingdom. 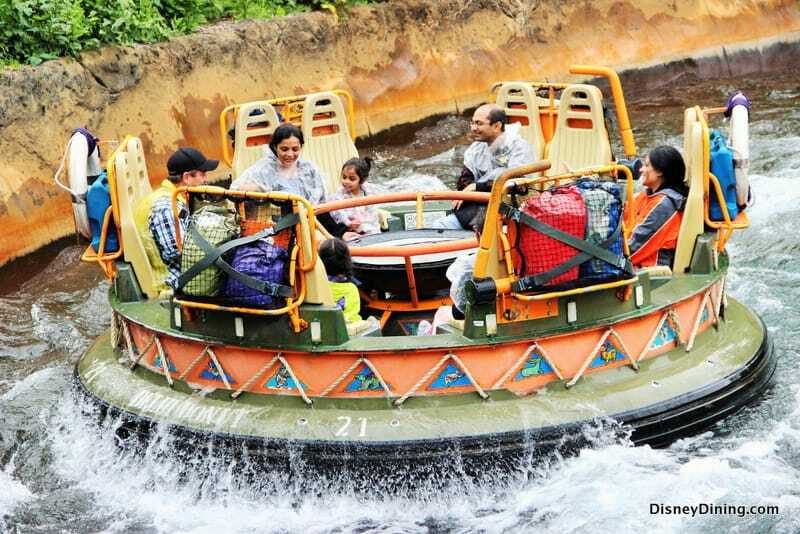 Inside Asia, Guests can enjoy attractions and experiences like Expedition Everest, Kali River Rapids and the Majarajah Jungle Trek. This open-air playground in Dinoland U.S.A. was created to look like a dig site. It’s the perfect spot for little ones to expend some energy while playing in caves, sliding and even driving a Jeep! Carvings on the Tree of Life depict more than 300 different animals—some extinct and some still living. See how many you can find in the trunk, branches and roots of the giant iconic tree! 4. D for Dinoland U.S.A.
Dinoland U.S.A. is another themed land at Disney’s Animal Kingdom. It features a roadside carnival complete with midway games and rides, the Dino Institute and DINOSAUR attraction, Donald’s Dino-Bash, Primeval Whirl and more! 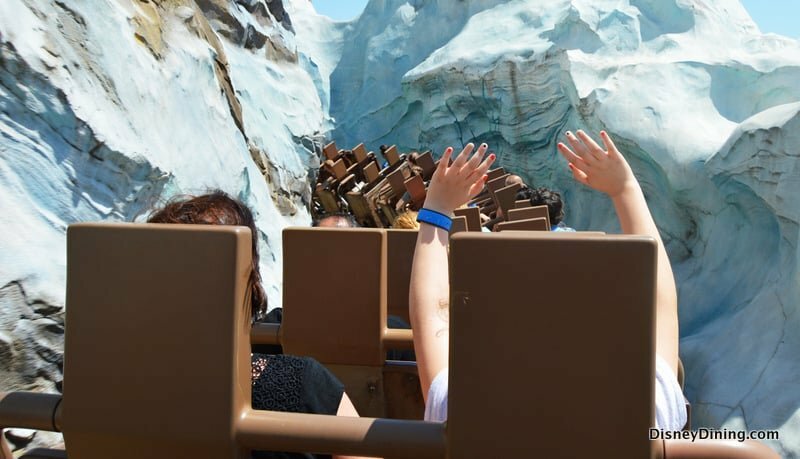 Expedition Everest is one of the most thrilling experiences at Disney’s Animal Kingdom. Legend has it that a Yeti on the Forbidden Mountain is responsible for accidents and strange occurrences, but despite the stories, a tea company in the village of Anandapur routinely runs trains through the Forbidden Pass. Is the Yeti real and is he angered by those traversing the mountain? Only those brave enough to board a train for the journey will ever know. Avatar: Flight of Passage may very well be the most popular attraction to have ever been built at Animal Kingdom. The new land of Pandora at the park opened in 2017 and Flight of Passage was an instant hit with Guests. To this day, you can expect a two- to three-hour wait in the queue without a FastPass+ during peak seasons. 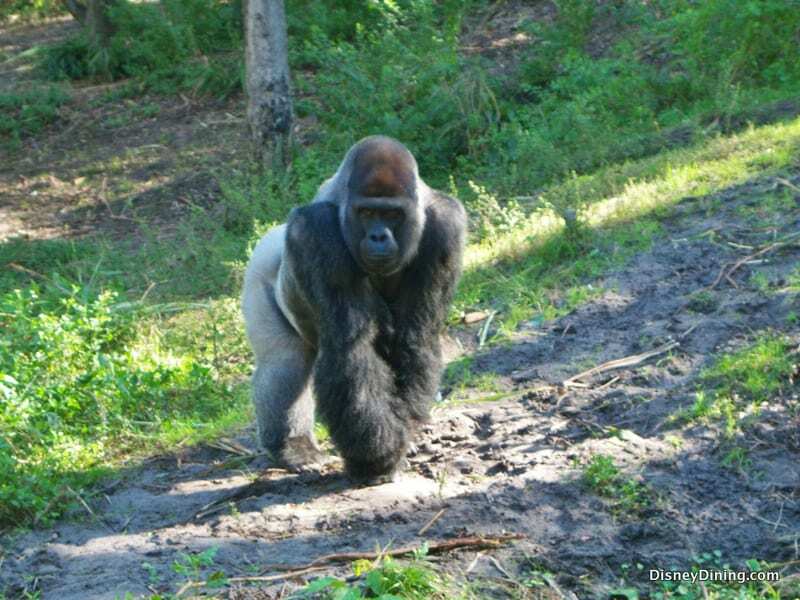 Gorillas are the world’s largest primate, and you can find a family of western lowland gorillas at Animal Kingdom. Look for them along the Gorilla Falls Exploration Trail! There are “no worries” at Disney’s Animal Kingdom! You can enjoy characters from Disney’s The Lion King throughout the park. See the Festival of the Lion King—a Broadway-style stage show that tells the story of Simba and his journey toward his rightful place as king. The all-new Hakuna Matata Dance Party—hosted by Timon and Rafiki—just debuted in the park as well. 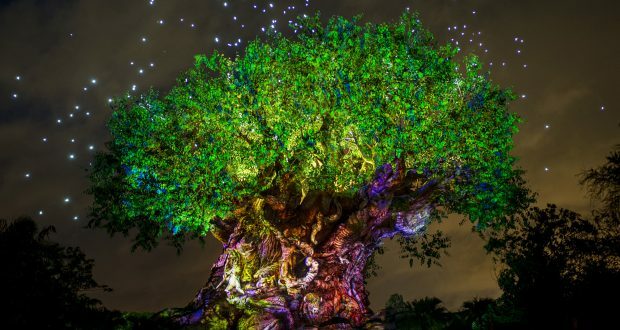 And beginning in May, a new sequence inspired by The Lion King will be added to the Tree of Life Awakenings presentation. 9. I for It’s Tough to Be a Bug! Since insects are so small, survival can be extremely difficult for them. 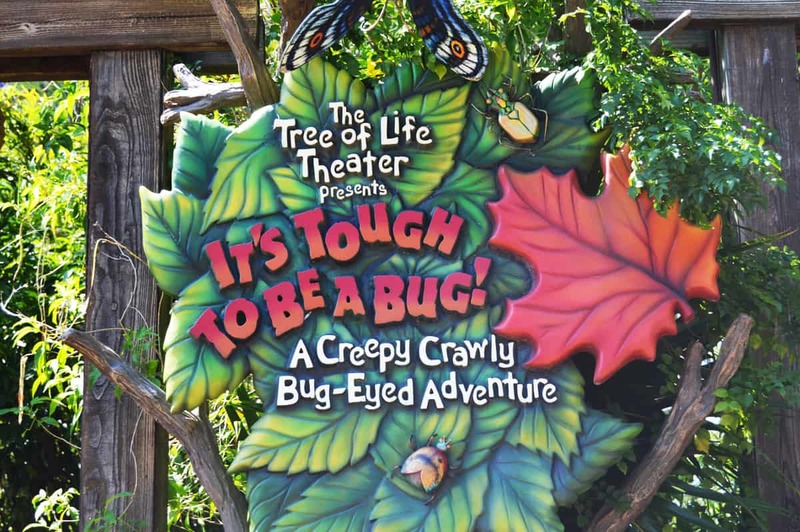 If you’ve ever been interested in bugs, their defense mechanisms and how they relate to their environments, you’ve got to see the It’s Tough to Be a Bug presentation inside the Tree of Life, featuring characters from Disney/PIXAR’s A Bug’s Life. One of the best things about Disney’s Animal Kingdom is seeing all the jungle animals. The park is home to hippos, monkeys, elephants, okapis, chimpanzees, gorillas, tigers and more! Board a large raft and set off for a journey into the rainforest with Kali River Expeditions. During this experience, you’ll enjoy the adventure of white-water rafting and learn about the dangers of illegal logging and deforestation. During peak seasons, you’ll want to have a FastPass+ time for this attraction. Access the My Disney Experience app before your trip to get yours! Lions are majestic creatures and seeing them at Disney World makes them all the more spectacular! Find them along the trail during the Kilimanjaro Safaris excursion! If you enjoy the attraction in the evening, you’ll have an even better chance of seeing the lions up and moving around! 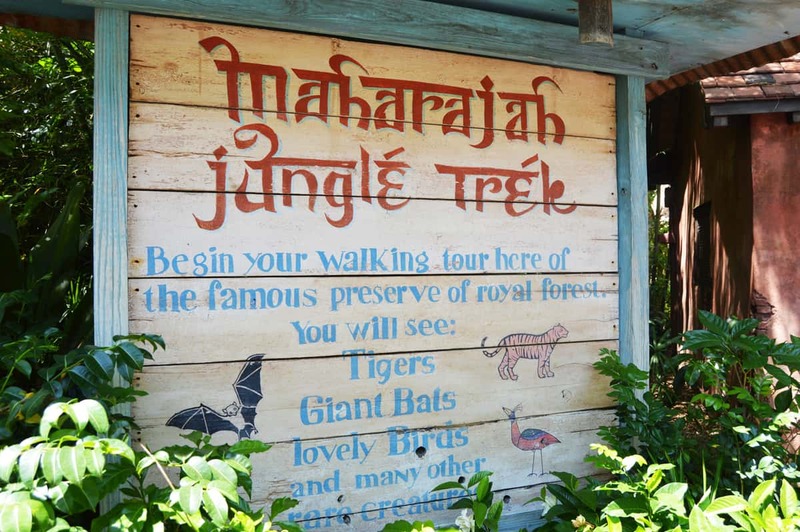 If lush trees, cascading waterfalls, high footbridges and a mystical royal forest catch your fancy, be sure to experience the Majarajah Jungle Trek in Asia at Disney’s Animal Kingdom. See a flying fox, water buffalo, deer, gibbons, tigers and more than 50 species of birds during this self-guided adventure! Na’vi River Journey is one of the two attractions in the new Pandora: The World of Avatar land. It is the milder of the two but just as impressive in its own right. Board a reed boat for a gentle journey down the Na’vi River and take in the sights and sounds of the forest before seeing the Shaman of Songs near the end of the ride. 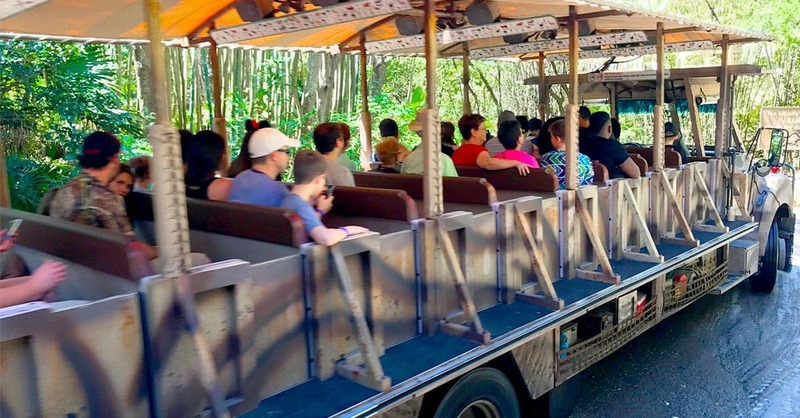 The Oasis section of Animal Kingdom is located near the park entrance and features exhibits like the giant anteater, exotic boar, barking deer, wallaby and spoonbills. Be sure you don’t miss these animals on your way to more adventure in the park. Near the entrance to Pandora: The World of Avatar, there is a quick-service restaurant called Pizzafari. The venue serves pizzas and flatbreads, salad and kids’ meals too. Skip the lines and submit a mobile order via the My Disney Experience app so that your food is ready when you arrive. There are plenty of places to catch a quick bite at Animal Kingdom. 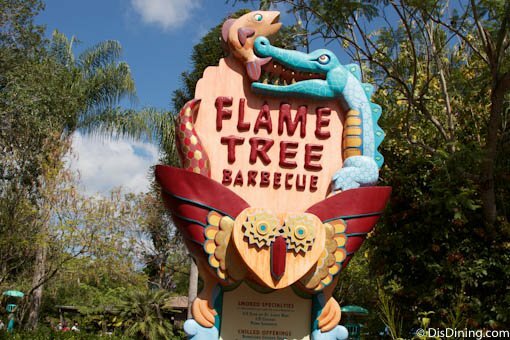 Some of the ones not to miss are the aforementioned Pizzafari, as well as Flame Tree Barbecue, Restaurantosaurus and Harambe Market. Rivers of Light is the nighttime spectacular at Disney’s Animal Kingdom, and the word “spectacular” is quite fitting! The presentation is patterned after traditional eastern festivals and combines music and special effects to tell the story of a new light. Kilimanjaro Safaris is one of the most spectacular attractions at Disney’s Animal Kingdom. Because the attraction features hundreds of live animals, no two safaris are the same. This experience does not disappoint. Be sure to enjoy it once in the daytime and once at night so you can see different animals. At Dinoland U.S.A. at Animal Kingdom, the whole family can enjoy a dinosaur-themed roadside carnival of sorts. And one of the most fun attractions at the carnival is Triceratop Spin—a dino-themed ride featuring gondolas inspired by dinosaurs. It’s similar to the Dumbo ride and Magic Carpets ride at Magic Kingdom. There’s never a long wait for the ride so don’t skip this one. 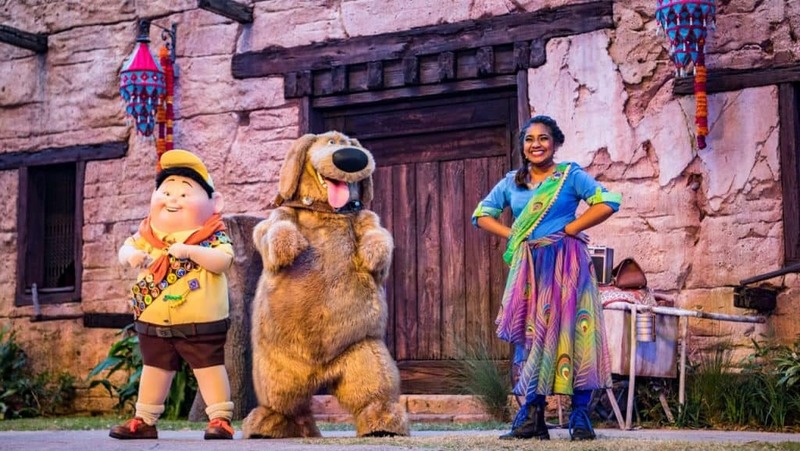 Last year, the show at the Caravan Theater at Disney’s Animal Kingdom got an upgrade. The new show, “Up! A Great Bird Adventure,” debuted on April 22, 2018 and features Russell and Dug the Dog from Disney/PIXAR’s Up as well as some beautiful exotic birds from all over the globe. Don’t miss it! 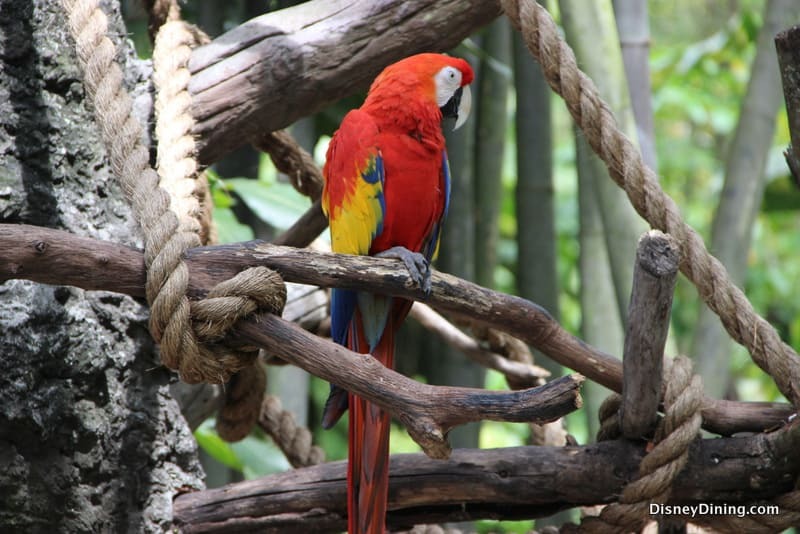 This misunderstood bird is an important part of the animal kingdom, and you can see 2 to 3 different species in the park. Find the lappet-faced vultures at the Tree of Life and look for more vultures at Rafiki’s Planet Watch and Animal Kingdom Lodge. Have you ever seen a wallaby? You can when you visit the Oasis at Animal Kingdom near the park’s entrance. At Animal Kingdom, your kids can learn all kinds of things about the animals that live in the theme park. They can also earn sticker badges for completing learning activities around the park. Stop by a Wilderness Explorers’ kiosk to pick up a field journal that will guide young explorers in activities at different stops inside the park. 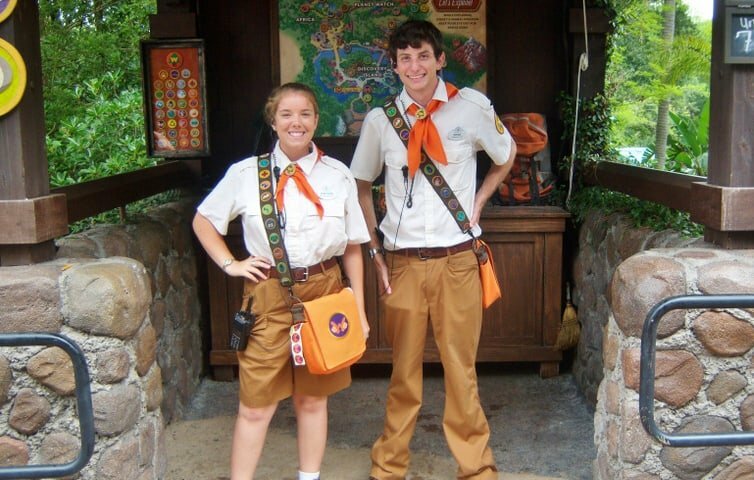 Once they complete an activity, they can show their books to a Wilderness Explorer Cast Member who will award them their sticker badges! How many will your kids get? 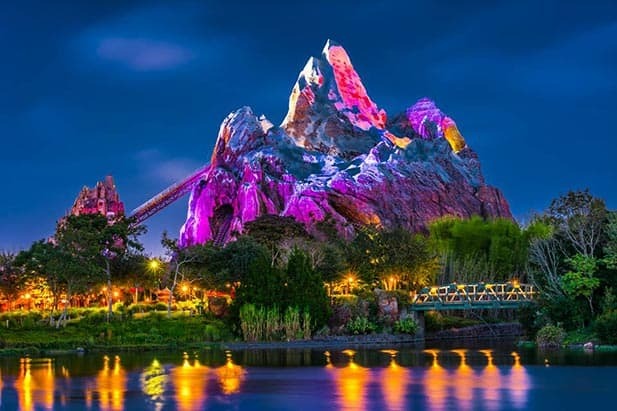 The legend of the Yeti is one that has transcended time, and only those brave enough to board a train at the Expedition Everest attraction will ever know if he really exists! 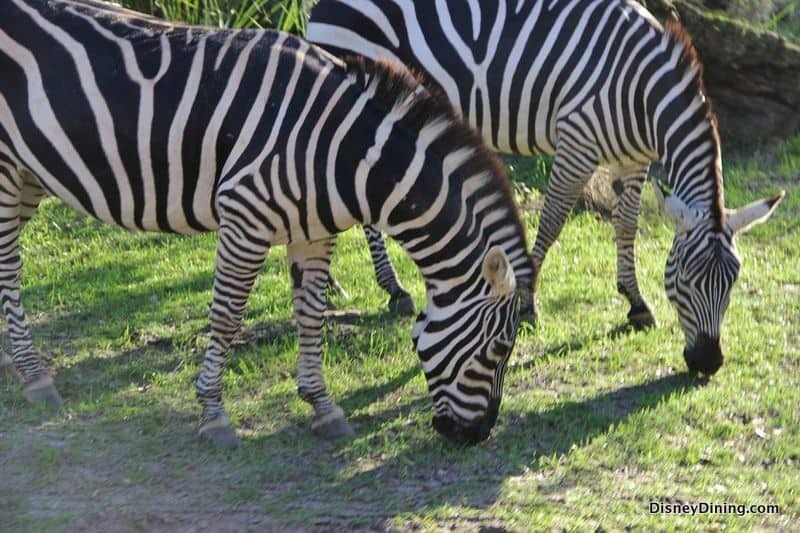 There are three different types of zebras at Disney’s Animal Kingdom. You can find them along the Gorilla Falls Exploration Trail, at Animal Kingdom Lodge and when you experience Kilimanjaro Safaris.